Stephanie joined BOND as a project engineer and is currently working on the Salem Harbor Energy Center project. A ‘day in the life’ for Stephanie involves assisting project managers with the daily management of the job site as well as maintaining drawings, submittals and RFI’s. 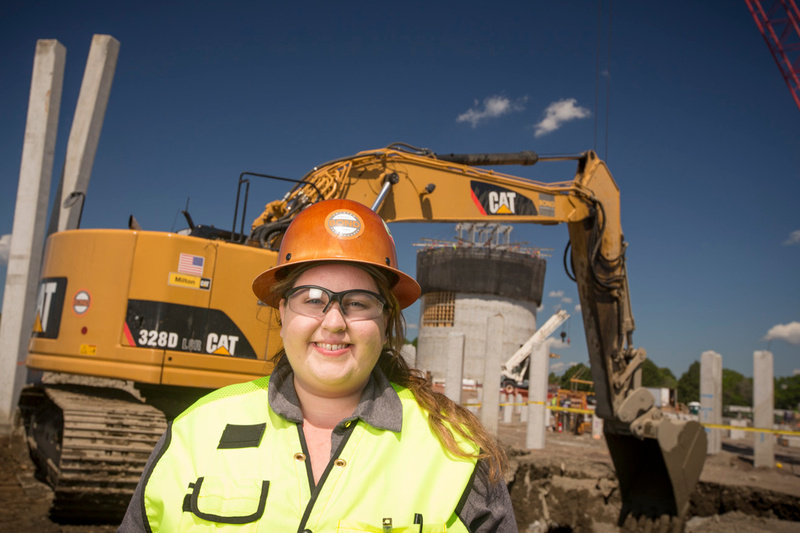 Stephanie is currently pursuing a master’s degree in Construction Management from Wentworth Institute of Technology and holds a bachelor’s degree in Civil and Environmental Engineering from UMass Amherst. She participated in BOND’s Co-op program during her tenure at UMass, where she worked on projects including the Pilgrim Nuclear Power Plant and NSTAR’s Chelsea Duct Bank projects. Stephanie is certified in OSHA Construction Training and was President of the chapter of American Society of Civil Engineers at UMass Amherst. She is also a part of the Boston Society of Civil Engineers organization. When she’s not wearing her hard-hat and safety glasses on the job-site, she is known for ‘extreme holiday baking,’ relaxing at the beach or kayaking on a hot summer day.